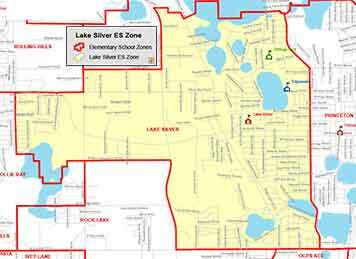 Searching for a home within the Lake Silver Elementary School Zone? Then you are in the right place! We work hard to make your next home search easy and efficient, so that when you are ready to buy or sell, we are ready to help. Students of Lake Silver Elementary reside within the 32804 + 32808 zip codes. Lake Silver Elementary School was opened in 1954 to serve the College Park and surrounding communities. We strive to keep many of the traditions established during the school’s beginning while providing current innovative research based instructional practices. Our faculty and staff are highly qualified and belong to a Professional Learning Community where we are committed to working collaboratively in ongoing processes of collective inquiry and action research in order to be the top producer of successful students in the nation. Lake Silver is also an exceptional education physically impaired center school with classes that serve students in grades PreK-5. The exceptional education classes consist of students with varying exceptionalities such as physical and mental impairments. Eligible students are also provided physical, occupational and speech therapy. Students who qualify can participate in the Gifted program, which serves only zoned Lake Silver students in grades 1-5. This program is a one-day a week resource program. Students with Limited English Proficiency are provided with learning strategies that include best practices for language development. Lake Silver offers a variety of opportunities for students to grow emotionally, socially and academically. One example is the comprehensive guidance program. It is designed so that all students achieve academic, personal and social success. The program includes individual and group counseling services, peer mediation, anti-bullying and drug awareness education for our students. It also includes parent education opportunities. Other examples of our special programs include a 28 station Computer Lab, Science and Math Lab, Physical Education, Art, Music, Drama and a Guitar and Drum Club.